"Is the First Amendment Obsolete?" 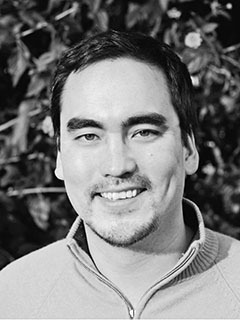 Tim Wu is an author, policy advocate and professor at Columbia Law School and director of the Poliak Center for the study of First Amendment Issues at Columbia Journalism School. Wu's best-known work is the development of Net Neutrality theory, but he also writes about private power, free speech, copyright, and antitrust. In 2014, he ran as the progressive Democrat candidate for lieutenant governor of New York. His book The Master Switch (2010) has won wide recognition and various awards. Wu worked at the Federal Trade Commission during the first term of the Obama administration, and has also worked as Chair of Media reform group Free Press, as a fellow at Google and worked for Riverstone Networks in the telecommunications industry. He was a law clerk for Judge Richard Posner and Justice Stephen Breyer. He graduated from McGill University (B.Sc. ), and Harvard Law School. 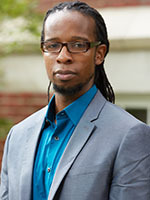 "Black Students and the Redefinition of Racist Ideas"
Ibram X. Kendi's book Stamped from the Beginning: The Definitive History of Racist Ideas in America won the 2016 National Book Award for Nonfiction and was named a finalist for the 2016 National Book Critics Circle Award. Described as “engrossing and relentless” by The Washington Post, Stamped was named to Best Books of 2016 lists in the Boston Globe, Kirkus, The Root, Chicago Review of Books, and Buzzfeed. Stamped has been nominated for the NAACP Image Award for Outstanding Literary Work in Nonfiction. Kendi is also the author of the award-winning book The Black Campus Movement: Black Students and the Racial Reconstitution of Higher Education, 1965-1972. He has published 14 essays in journals and books, as well as many op-eds in publications including The New York Times, Salon, New York Daily News, The Huffington Post, and The Chronicle of Higher Education. In addition, he is the associate editor of the leading online platform for public scholarship on Black life, Black Perspectives. A graduate of Florida A&M University and Temple University, Kendi is an assistant professor of African American history at the University of Florida. "Entrepreneurism for Social Change: Inside Stories of Making the World Better, One Company at a Time"
Stetson graduate Patrick Davis has advised these consumer-favorite brands among many others — plus a growing list of entrepreneurial disruptors from snack foods to beauty — that demonstrate the power of the private sector to help drive social change. daring and critical driver for significant change. A Lecture/Discussion by Kevin Quashie, Ph.D.
African-American culture is often considered expressive, dramatic and even defiant -- characterizations that are linked to the idea of resistance and to the yearning for justice. As a result, these terms come to dominate how we think of blackness. What, then, could a concept of quiet mean to reimagining how we think about black culture, about resistance and justice?How could the idea of quiet, as a notion different from silence and as a metaphor for one's inner life, offer insight into how to be alive in ways that are aware of social violence but that retain the power and grace that is inevitable in the everyday act of being human? Dr. Kevin Quashie is a professor in the department of Afro-American Studies at Smith College, where he teaches cultural studies and theory. 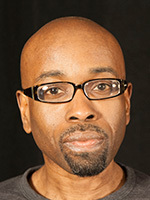 He is the author or editor of three books, most recently The Sovereignty of Quiet: Beyond Resistance in Black Culture. "Out of the Shadows: Building Inclusive Communities"
Lecture/Discussion by Susan Rankin, Ph.D. Colleges and universities over time are more accurately reflecting the diverse makeup of society, in terms of race, class, gender, disabilities, sexual orientation and gender identity. They focus on fostering welcoming and inclusive environments for all, but to what extent are they successful? What is the influence of climate on "invisible" identities? Susan Rankin, Ph.D., is a founding member of the Consortium of Higher Education LGBT Resource Professionals, which advocates for LGBT people on college campuses. Having collaborated with more than 70 institutions/organizations in developing strategic plans regarding social-justice issues, she demonstrates that these environments are not immune to negative societal attitudes and discriminatory behaviors. 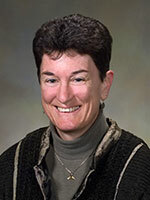 Widely published on this topic as it pertains to the academy and athletics, Rankin is a retired Penn State education professor, senior research associate and softball coach. "So Rich, So Poor: Why It's So Hard to End Poverty in America"
Peter B. Edelman is a lawyer, policy maker and law professor at Georgetown University Law Center, where he is faculty director of the Center on Poverty, Inequality and Public Policy. 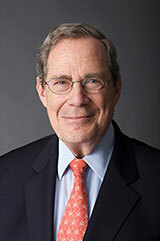 Throughout his five decade career, Edelman has become one of America's leading anti-poverty advocates. As an advisor and legislative assistant to Sen. Robert F. Kennedy from 1964 to 1968, Edelman accompanied Kennedy on his 1967 tour of the Mississippi Delta to investigate the devastating conditions of families living there, an experience that would help shape his policy views on poverty in public service, teaching and as a scholar. His books include Searching for America's Heart: RFK and the Renewal of Hope, published in 2001, and Reconnecting Disadvantaged Young Men, which he co-authored and was published in 2006. 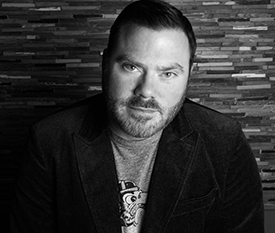 His most recent book is So Rich, So Poor: Why It's So Hard to End Poverty In America. Edelman earned his B.A. from Harvard College and his law degree from Harvard Law School. He lives in Washington, D.C., with his wife, Marian Wright Edelman, founder and president of the Children's Defense Fund. He has been recognized as a J. Skelly Wright Memorial Fellow at Yale Law School, and is chair of the District of Columbia Access to Justice Commission; board chair of the American Constitution Society for Law and Policy; Public Welfare Foundation and the National Center for Youth Law; board president emeritus of the New Israel Fund; and a board member of the Center for Law and Social Policy, and the Center for American Progress Action Fund.